Watercoloring florals is much simpler than you think! Watercolors and florals are huge…they are everywhere! It’s time you make your own–and with this tutorial it couldn’t be easier! 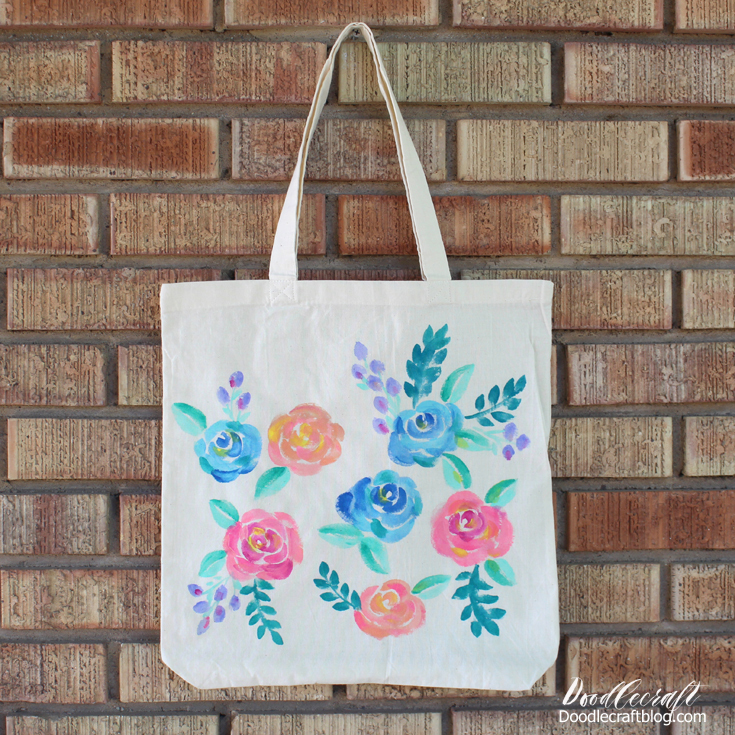 This cute canvas tote bag is easy to add colorful florals to in just about an hour. Hot pinks, corals, greens, blues and violets!